Pallet wood is attracting more and more people towards its consumption day by the day. People are using it for many purposes and aims. The range of the pallet projects is very wide; form indoor furniture to outdoor fencing, from dog houses to toy boxes, all is acclaimed from the pallet wood. One more item that is going to be enlisted in this range is marquee letters, which are so much in trend these days. 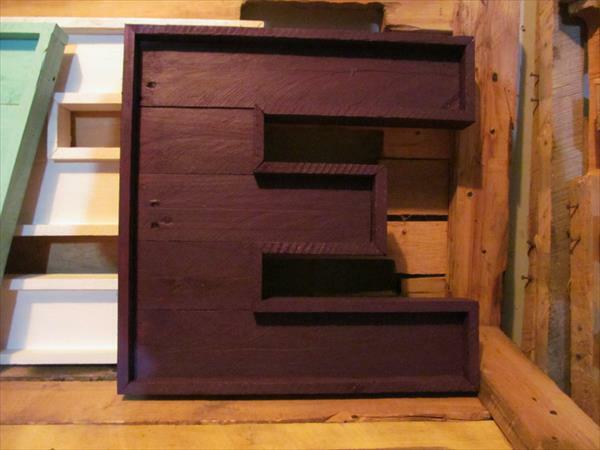 You can carve out any letter from A to Z, by the reclamation of the pallet wood in an inventive and unique way. 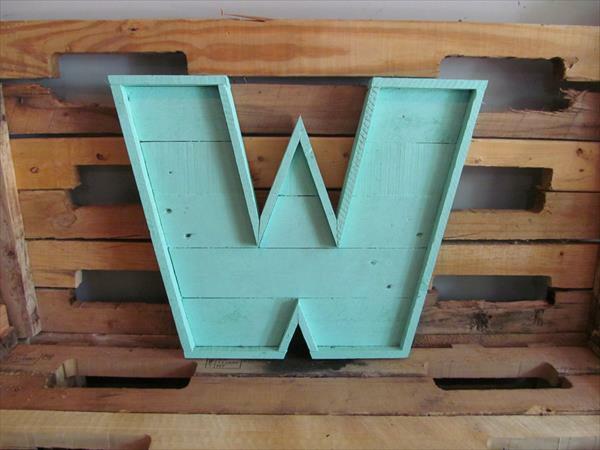 you can trace any word on the pallet wood representing your feelings, culture, country or your especial logo or motto as well, like the word ‘WEST’ has been crafted in this case. These lettered marquees can be displayed in any zone of the house like entry way, hallway, bedroom, living room, patio and garden also to make you stand out from the others. They can be customized in your desired color, shape and design.